Fleet Management systems are changing the way fleet managers manage their vehicle fuel consumption. Every fleet, big and small, must pay for fuel. The fleets that consume fuel in the most effective way possible gain a competitive advantage. Stiff competition and reduced margins create a sense of urgency for business owners and managers to implement an effective fleet management system. For a small daily investment, fleet managers can reduce fuel costs and consumption and improve their bottom line. Thousands of dollars in annual fuel costs can be saved. Fuel consumption continues to rise and business owners and fleet managers must implement cost effective ways to manage their fuel expenses. * Analyze engine idle time – one extra hour a day of idling is equivalent to 64,000 miles of engine wear. * Monitor speeds – excessive speeding is dangerous and burns extra fuel. * Route effectively – avoid traffic and take the most direct route to and from jobs. * Monitor unauthorized vehicle use – when drivers use fleet vehicles your fuel consumption increases. * Proactive maintenance of vehicles – ensure your fleet is operating as efficiently as possible. With a fleet management system working for you, you will know when your vehicles start, how fast they are traveling, how long they idle, how to best route them to jobs and when they call it a day, saving litres of fuel and hundreds of dollars each and every day. These variables are measureable and controllable. A fleet management system will quickly pay for itself and generate a significant ROI, directly boosting your bottom line. 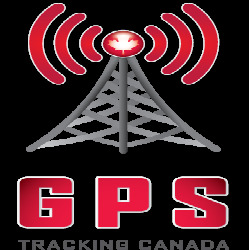 Learn more about how GPS Tracking Canada's GPS fleet management systems can benefit your business.